Churnly...A Completely Automated Churn-Busting Plugin for WordPress! Do you automatically bill your customers each month for recurring memberships or subscriptions? Over the next 12 months, 24% of those customers will stop paying you simply due to failed payment methods that aren't updated. 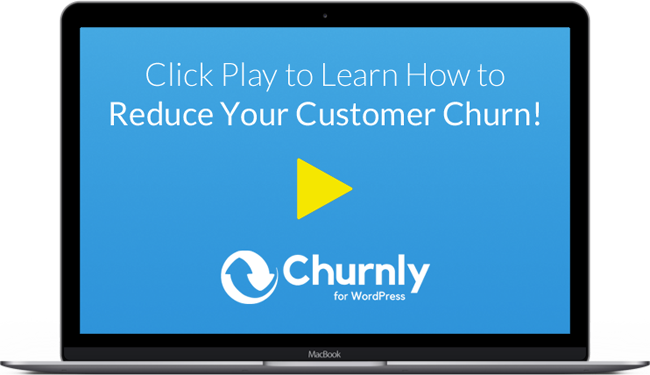 Churnly is the only solution for WordPress that allows you to easily recapture failed recurring payments through a completely automated process. On average, Churnly increases its users' annual revenues by 7%! Churnly Proudly Integrates With These Leading E-Commerce Plugins! How Is Involuntary Churn Affecting Your Business? If you have 100 customers enrolled in your membership or subscription, each month 2 of those customers will stop paying you. Not because they don't find value in your offering, but because their payments can't be processed and they quietly slip away. Let's look at how this affects the revenue of an average company over the course of the year. We'll assume they have 500 customers at the start of the year, charge $50 per month for their subscription, and experience average involuntary churn of approximately 2% of credit cards expiring each month of the year. Churnly is a powerful solution designed to put more of your hard-earned money in your bank account. But it's incredibly simple to set up and completely automated! See How Much Money Churnly Can Save You! Simply enter your current number of active memberships or subscriptions and the price you charge per month to see how much involuntary churn that Churnly can help you prevent. Need help? We've got your back! We succeed if you succeed...it's that simple. 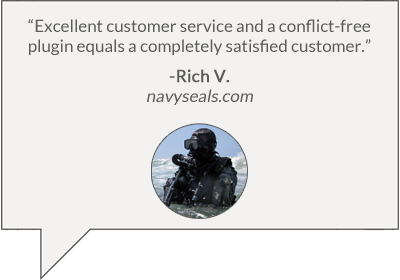 Our team is always here for you if you have questions! Need help getting started right away? We have a searchable archive of articles in our product knowledgebase to get you on your way! Ready to let Churnly put more money in your pocket? Simply select a license level which meets your needs below and we'll instantly send you the best churn-busting plugin on the market! Yes! When your Churnly license is nearing expiration, it will automatically renew at 30% off of the original price. Do I have to renew each year for Churnly to work? You can still utilize the plugin after this time, but we do recommend renewing to ensure that you receive useful feature updates, bug fixes, ongoing compatibility with the WordPress core code, and product support. Can I upgrade my license level after purchase? Certainly! Just log into our member portal, navigate to the "Licenses" tab, and click on "View Upgrades". From there you can upgrade your license for simply the difference in price. Can I use Churnly with any WordPress theme? You sure can! So far, we have not come across any WordPress themes that Churnly won’t work with. If for any reason it doesn’t work with your theme, we will work with you to ensure it does! Which shopping carts and payment gateways does Churnly support? Please note that Churnly does not currently support PayPal Express or Stripe Checkout due to the way they process customer payments. *Note: If you don't see your payment gateway here, feel free to email us your suggestion. Simply place the name of your Payment gateway in the subject and click send. We will then use this data to determine priority on adding payment gateways. Remember, the payment gateway must be compatible with the EDD Recurring Payments extension or WooCommerce Subscriptions extension. Have a question that's not listed here?